As a follow up from our previous post on 5G Core Network (5GC) and system architecture, today I’d like to touch upon the 5G network functions (NFs) that are related to core network. As we’ll see, some of them look very similar to the corresponding functions in the previous generations’ core networks (CN). This of course is not surprising, as the network always has to carry out some basic functions such as: communicate with the UE, store its subscription and credentials, allow access to external networks & services, provide security and manage the network access and mobility. However, we will also see some new functions, that were not present before, which are needed to enable the new network paradigms like slicing and service-based networking. To describe the CN functions themselves, let’s firstly look at the system architecture from 3GPP SA2 on the following figure. We can see that part of this architecture, looks like good old LTE/3G with similar nodes and interfaces (lower part of the picture). However, the upper part of the figure (5GC Control Plane), has a “bus” and service-based interface exhibited by individual function. This creates a so-called Service Based Architecture (SBA), in which, one CP network function (e.g. SMF) allows any other authorized NFs to access its services. According to , the NFs within 5GC Control Plane, shall only use service-based-interfaces for their interactions. 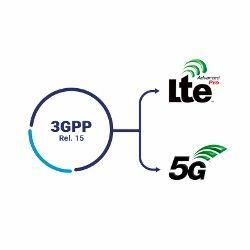 Note: If you want to revisit the “good-old” reference point architecture representation for 5G, read our other blog on the general 5GC aspects: [5G CN Overview]. Yes, the 5G system architecture with reference points is still there. As we can see from the description of the individual NFs, some of them are a modified, split or merged version of the good old EPC functions (like MME, SGW, PGW, HSS & PCRF) namely, AMF, SMF, PCF, UDM, AF, UPF or AUSF, but unlike EPC functions, AMF, SMF and UPF should be access independent. On the other hand, there are some functions that are new, related either to the concept of slicing (i.e., NSSF), to support handling multiple slices, or to the SBA itself (i.e., NEF & NRF) to support the concept of services subscription, exposure and access. Another thing is that in this architecture, we have a full CP & UP split in the core network, i.e. UPF supports UP data processing, while all other nodes act as CP functions (this is a bit different compared to EPC, where, e.g. PGW was acting a bit as UP and CP node, having some DHCP functionality and IP address allocation and PCEF functionality). This allows for independent scaling of CP and UP functions for the operators and for handling network slices efficiently to tailor them to support different services. 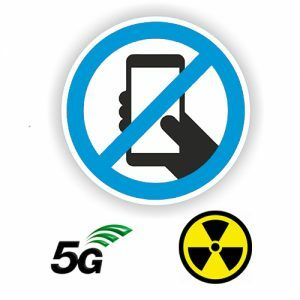 Curious to know, what is the main reason why 3GPP choose to introduce the “Not Allowed Area” concept in 5G. Why keep the UE is kept registered while it cannot get any user (PDU) services? what is the use case behind this as we do not have this concept in 4G NAS. the “non-allowed area” is in the middle, i.e., the UE can register and send periodic registration update and can respond to paging from 5GC, and the emergency services are allowed, but cannot set the actual services. This is to realise “mobility-on-demand” i.e., to support mobility only to the UEs that need it. More specifically, in a “non-allowed area” a UE is “service area restricted” based on its subscription. So, if you define a UE as “stationary”, it will only be able to reach its services within a “restricted area” and not outside. As per the above example, a “stationary UE”, if it is brought out sides its “allowed area” ( i.e. into “not allowed area”) is not going to get any user services (PDU sessions) from the network, but the registration context still remains and also its reachable for CN paging. So you mean that it is more efficient way of handling in 5GC as compared to LTE EPC , the similar thing to achieve in LTE EPC would need reject causes but then it also removes the UE’s registration context and hence makes it unreachable ? I think that in general this allows for more generic approach – i.e., you don’t have to have any special actions (as you mentioned reject causes etc.,) for specific cases, but handles different options using a single way and this suits well the slicing concept where you configure the tracking areas and allowed/non-allowed area depending on your situation. So in general I’d say that 4G could handle a lot of things that 5G is suppose to do (also slicing was sort of touched by DECOR), but as an add-ons to the baseline, while 5G should be more “generic” and “flexible” and “future proof” so that the new “cases” could be added / handled easier than modyfing a lot of 3GPP TSs’ contents. Thank you Marcin for your valuable feedback and explanation. In sync and agree to your comments. One of the good use case of “Not Allowed Area” is in India. Many times, regulatory bodies ask carriers for barring of voice and data services selectively in a given geographic area – due to law and order concerns. Services are allowed after a certain time window, which is intimated by the regulators on-demand. 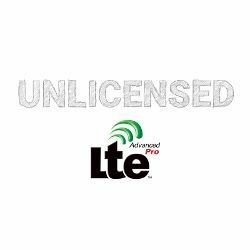 In LTE, for such cases – we achieve service barring at many levels – TAC level, Cell-ID level as well as at the APN level, all orchestrated by the PCRF. Only emergency services are allowed in such cases. Completely agree, till 3G or 4G complete system access barring is the only solution on IMSI level, then one needs to worry about Inroamer barring etc and service type barring as well. What is the diference between HSS and UDM? There is any diference bwtween HSS and UDM with respect to interface and protocol, Could we use the same HSS for 5G? 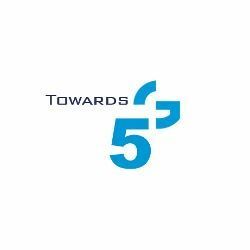 In the case of using HSS for 5G, it depends on what you actually mean by 5G – if its the full blown 5GS (5GC + NGRAN), the related nodes are UDM and AUSF and they use SBA principles with service type interfaces. While if you mean 5G by using NSA with 5G NR being suplement to LTE, the core network comes from EPC thus the corresponding node is HSS.